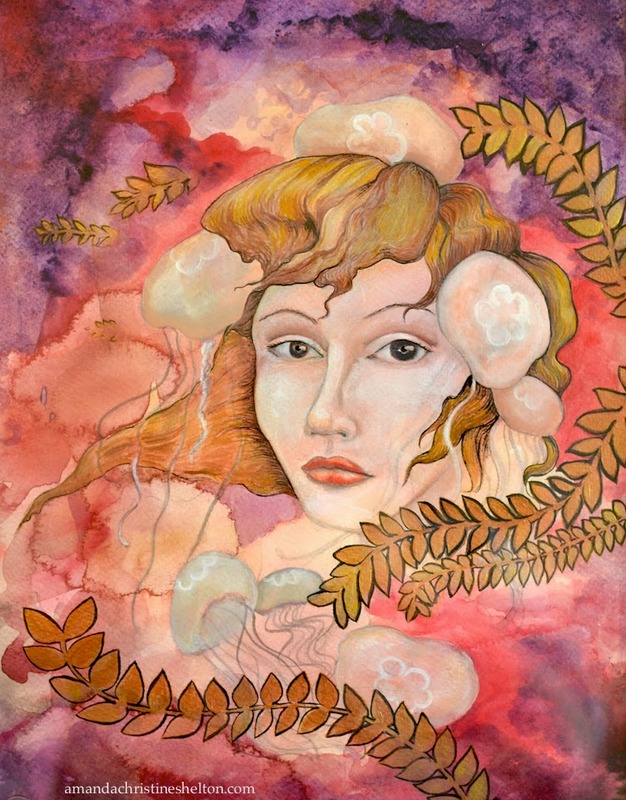 "Lady Cnidaria" is a recently completed mixed watermedia piece on 300gsm Arches paper that has been stained with tea. Cnidaria is name of the taxonomic phylum for jellyfish, medusa, anemones and other similar sea creatures. The golden plant life is painted in metallic acrylics, and the control of gouache gave lots of fine detail to the Lady's hair tendrils. to inquire on this piece, send an email or contact on website.